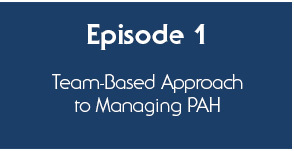 Optimal management of patients with PAH requires early detection and diagnosis followed by an aggressive treatment plan. By increasing their competency, pharmacists can play an important role within the multidisciplinary team when encountering patients with this deadly and rapidly progressing disease. This continuing pharmacy education activity is planned to meet the needs of pharmacists in a variety of practice settings, including large and small healthcare systems, outpatient clinics, managed care organizations, long-term care facilities, and academia. 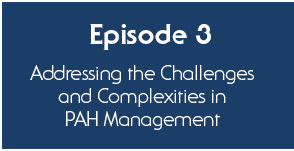 This program is designed to target health-system pharmacists who are responsible for the safe and effective use of medications utilized for the treatment of patients with PAH. This webcast on demand is based on the CPE Midday Symposium conducted at the 50th ASHP Midyear Clinical Meeting & Exhibition. Dr. Hanson does not discuss off-label uses of any products. Dr. Machado does not discuss off-label uses of any products. Copyright © 2016 Vemco MedEd. All Rights Reserved. Permission for accreditation use granted to Center for Independent Healthcare Education. Actelion Pharmaceuticals and United Therapeutics. 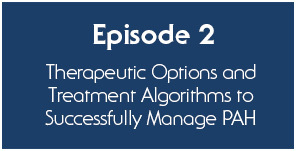 By clicking on an Episode below, I acknowledge that I have read the entire CE information.